We consider a sample of 412 galaxies with radial velocities V LG < 2500 kms−1 situated in the sky region of RA = 13. m 0–19. m 0, Dec = +10◦...+40◦ between the Local Void and the Supergalactic plane. One hundred and eighty-one of them have individual distance estimates. Peculiar velocities of the galaxies as a function of Supergalactic latitude SGB show signs of Virgocentric infall at SGB < 10◦ and motion from the Local Void at SGB > 60◦. A half of the Hercules–Bootes galaxies belong to 17 groups and 29 pairs, with the richest group around NGC5353. A typical group is characterized by the velocity dispersion of 67 km s−1, the harmonic radius of 182 kpc, the stellar mass of 4.3 × 1010 M ⊙ and the virialto- stellar mass ratio of 32. The binary galaxies have the mean radial velocity difference of 37 kms−1, the projected separation of 96 kpc, the mean integral stellar mass of 2.6×109M ⊙ and the mean virial-to-stellar mass ratio of about 8. The total dark-matter-to-stellar mass ratio in the considered sky region amounts to 37 being almost the same as that in the Local Volume. Original Russian Text © I.D. Karachentsev, O. G. Kashibadze, V.E. 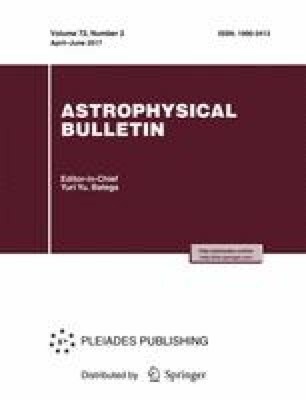 Karachentseva, 2017, published in Astrofizicheskii Byulleten’, 2017, Vol. 72, No. 2, pp. 122–133.